Some £2.3 billion will be pumped into the rental market this year by generous parents looking to support their children in rented homes. 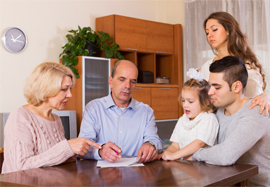 New research by Legal & General and the Centre for Economics & Business Research has found the average payment made by the Bank of Mum and Dad will be £415, with nine per cent of tenants across the UK now reliant on parental financial help to some degree. Ten per cent of renters have had help when it comes to paying for a rental deposit, while five per cent have required assistance with moving costs or fees. With parents also putting up £6.5 billion to help first-time buyers, it means this group is now funding £8.8 billion of payments across the property industry. Allison Thompson, managing director at property specialist Leaders, says: “It is well known that the Bank of Mum and Dad has been helping to get young people on the property ladder for many years, but it was perhaps not as clear that parents play a similarly important role when it comes to the rental market, helping millions of tenants to afford their homes. “Parents want to help their children and this has allowed many to rent quality properties and enjoy longer tenancies than they may otherwise have been able to. The study also found the Bank of Mum and Dad is relied upon to varying degrees across the country, with parents in London and the east of England paying £626 million and £604 million respectively, while those in the north-west contribute £175 million. For expert advice on letting or renting a home contact your local Leaders branch.